I had heard about this place for a while and we decided to give this place a try. They make artisan sausage sourcing local, sustainable and humanely raised ingredients or at least that was what they claimed. 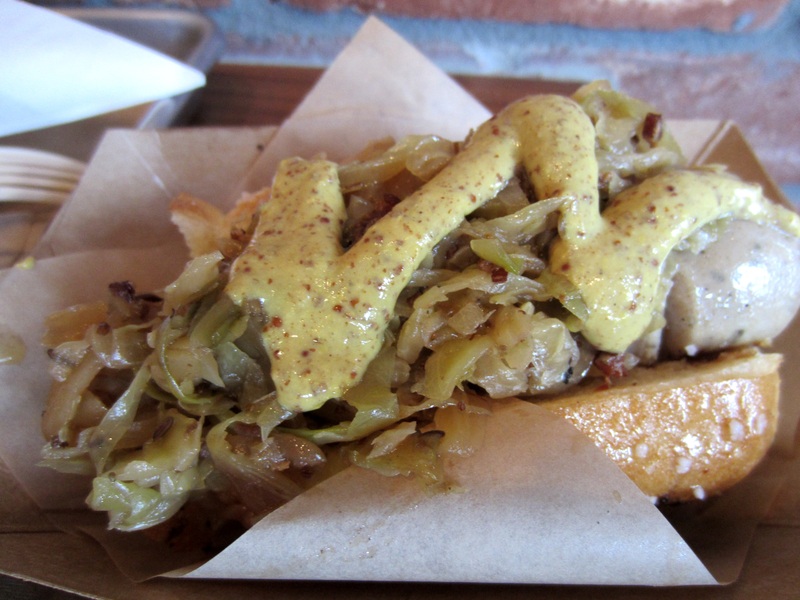 We each had their beer brat and it was a Neurenberger Bratwurst with bacon-apple kraut, beer mustard on a pretzel roll. It was a very flavorful combo and the bacon apple kraut added great crunchiness to the sausage roll. 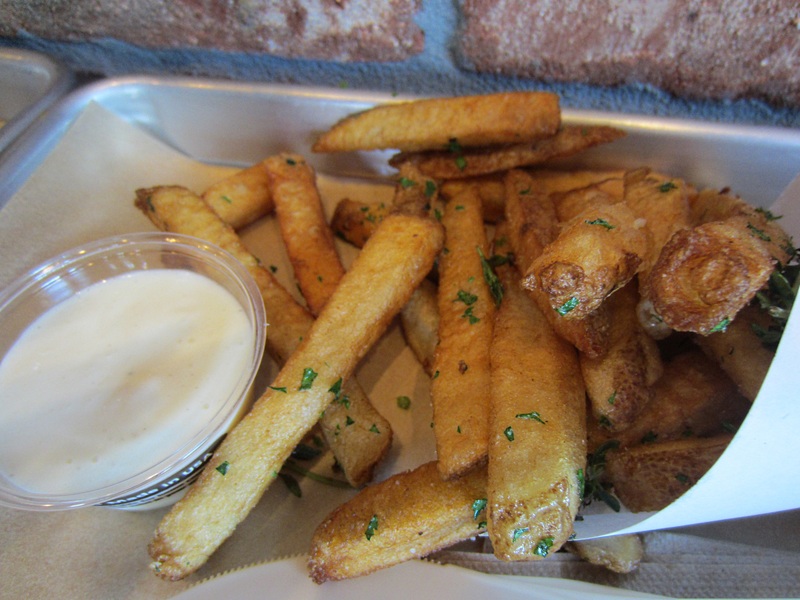 I think one of this with an order of their Frites is enough for an average person. 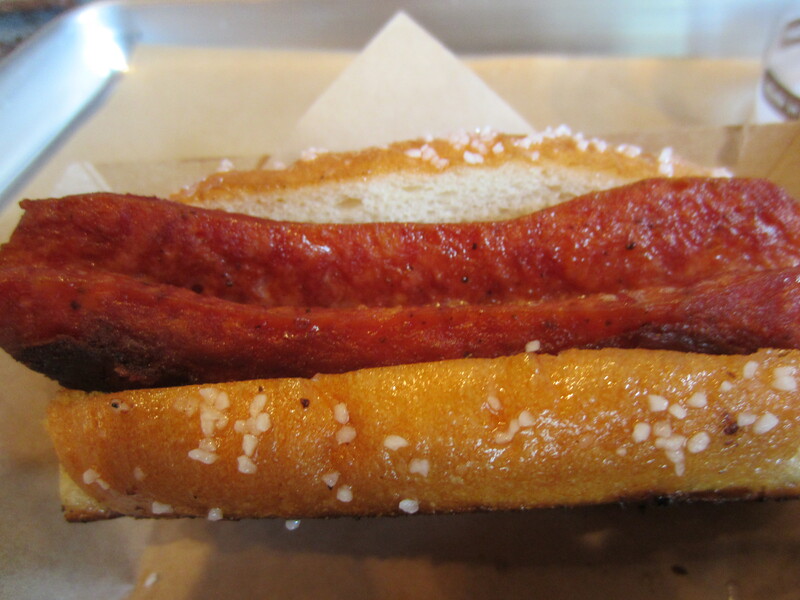 We also had the naked smoked Cheddar Bratwurst and it was a miss and dry. Overall a nice sausage place if you are in the area.